Here’s the thing about Niagara Falls: It’s far more mysterious and exquisite than you’d ever think. From tours behind the crashing water to butterfly gardens a few steps from the park, there’s a world of mysteries just beyond the bend. This is Southern Ontario, after all—a region that is quickly on the rise as a must-see destination. Toss your waterfall poncho in the back seat and come see what the area has to offer a curious traveller. In no particular order, here are the top 10 places near Niagara Falls! Lattes pour into quaint white mugs, families cycle down tree-lined avenues, and architecture that blends rustic charm with chic industry dots the landscape. We’re talking about Hamilton, Ontario—a rock star destination that many travellers are starting to notice. This is the kind of place where you can order a farm-to-table meal at a window seat and enjoy a picturesque city bustling in front of you. Need some recommendations? Start the morning at Aberdeen Tavern, a great breakfast place in town, where you can sink into dark leather benches and clink mimosas during weekend brunch. For lunch, head to Earth to Table: Bread Bar, which features seasonal ingredients for their pizzas and sandwiches. Get your Instagram ready, because they put out a pretty dish. 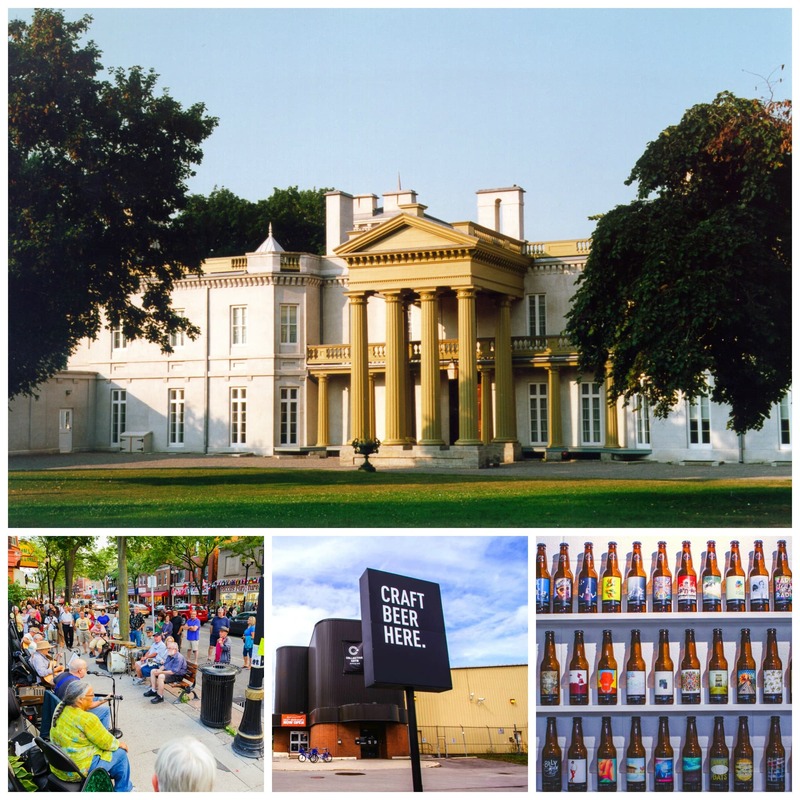 When your belly is full, make some time to explore Dundurn Castle or stroll the monthly James Street North Art Crawl. When you’re in Hamilton, you’re home. Mississauga might be one of the biggest cities in the country, but it still has a scrappy attitude—plus it has some of the best meals and attractions, period. When you’re ready to explore it for yourself, head to Kariya Park, a Japanese garden that celebrates Mississauga’s sister city, Kariya, Japan. After that, make your way to the Village of Streetsville, a charming part of town with plenty of boutiques that feature both new and lost treasures. When your exploring feet are ready to relax and your tummy is ready to eat, plop down in Aielli Ristorante, one of the best places for food in the city. Looking to keep it casual? Grab some grub at a food truck in Celebration Square. Mississauga has something for everyone. What do a gryphon, European architecture, and craft beer have in common? It’s all in Guelph! 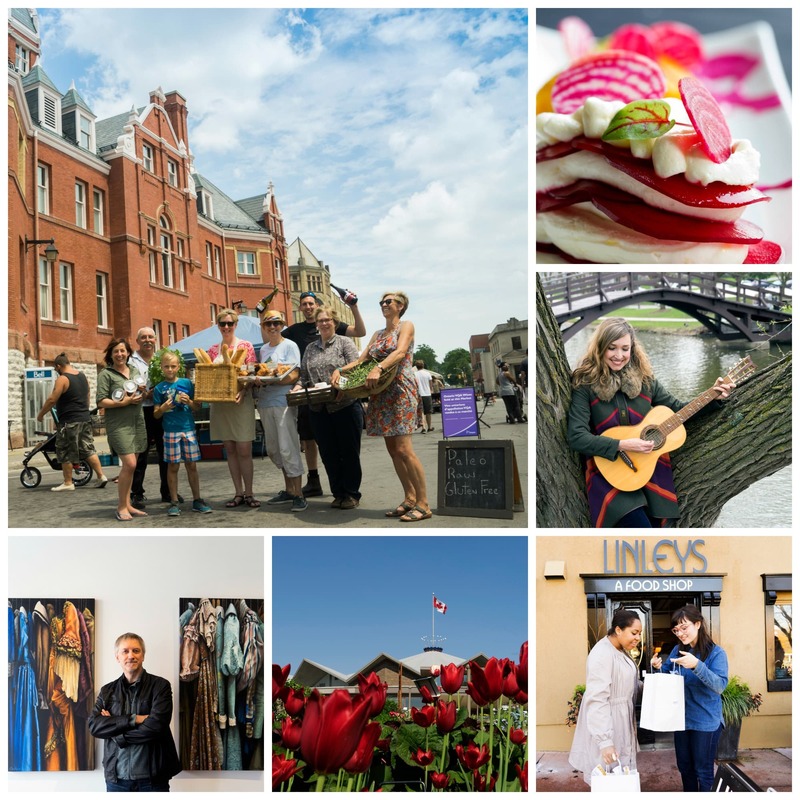 Named one of the most livable places in Canada, this city of 120,000 captures a playful attitude. When you day trip here, make the University of Guelph the first stop, as it’s home to an epic gryphon statue (also the school’s mascot), which represents the whimsical and unexpected. From there, take a minute to absorb the European-inspired feel of Old Quebec Street Mall and look for gifts at Aberfoyle Antique Market. After all that exploring, we know some suds are just what the doctor ordered. 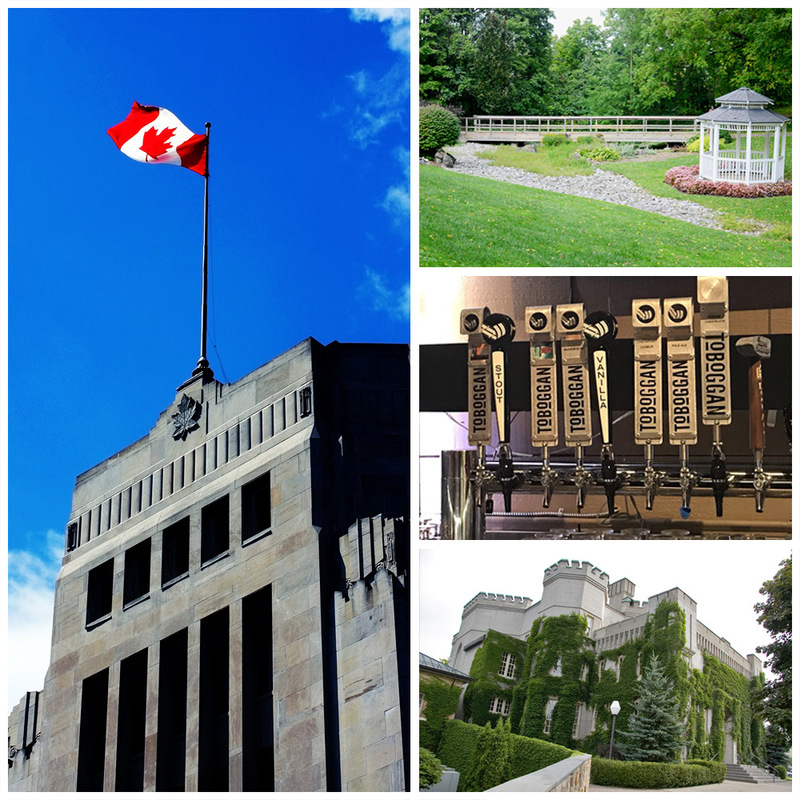 If you love beer, Guelph is one of the best places to visit near Niagara Falls. Head to Wellington Brewery, the oldest independently owned microbrewery. Trust us, they know how to make the good stuff. 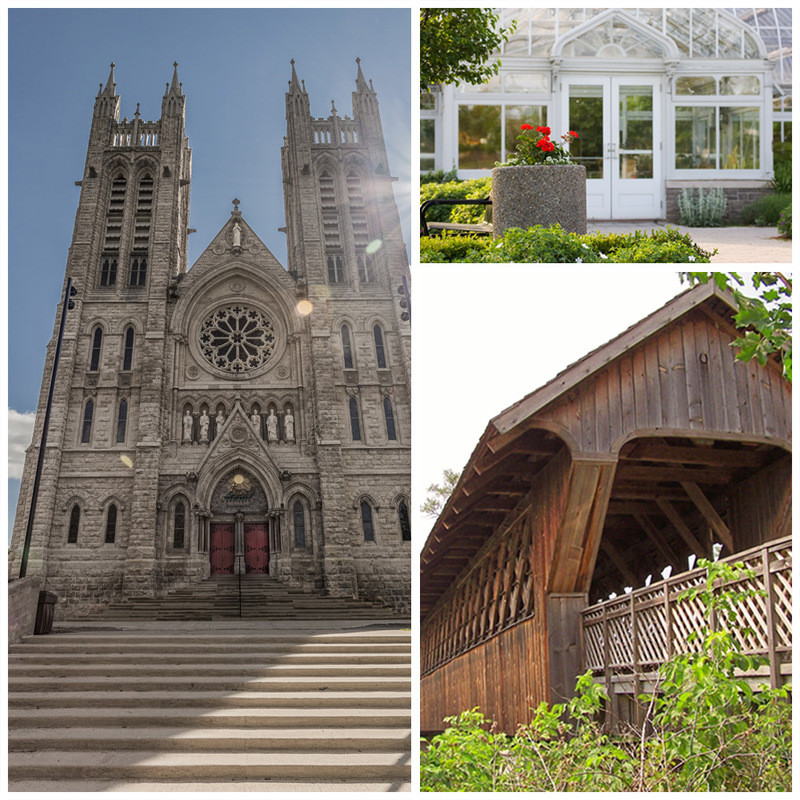 Don’t worry, a trip to Stratford is more like “A Midsummer Night’s Dream” than “Titus Andronicus.” Luscious gardens, charming downtown restaurants, and one of the most highly regarded festivals in Southern Ontario make Stratford a must-see stop. Each year, the Stratford Festival brings thousands of drama lovers to the Avon Theatre and other venues around town for top-notch theatre. Catch performances like “Macbeth” and “As You Like It,” as well as “A Chorus Line” and other popular plays. If you want a little more of that timeless atmosphere when the curtain closes, walk through the Shakespearean Gardens, which feature over 50 types of flowers, plants, and herbs that were regularly mentioned in the Bard’s plays. Want a book to read while you relax amongst the greenery? Pop into the Wee Book and Photo Shop, which is home to unique tomes and portraits. To be or not to be? Nope, you’ve got to be in Stratford. We like big ships and we cannot lie. 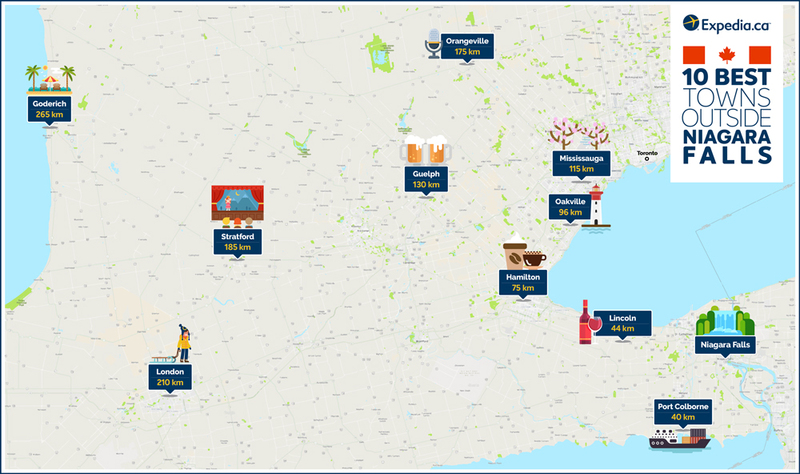 If you’re wondering what’s around Niagara Falls, you have to visit Port Colborne, the closest city on our list. Located on the shores of Lake Erie, this seaside town has a ton of great views, plus one of the biggest events in the region: Canal Days. Known for live music, crafts, and—unlike most parades anywhere else in the country—a boat parade. 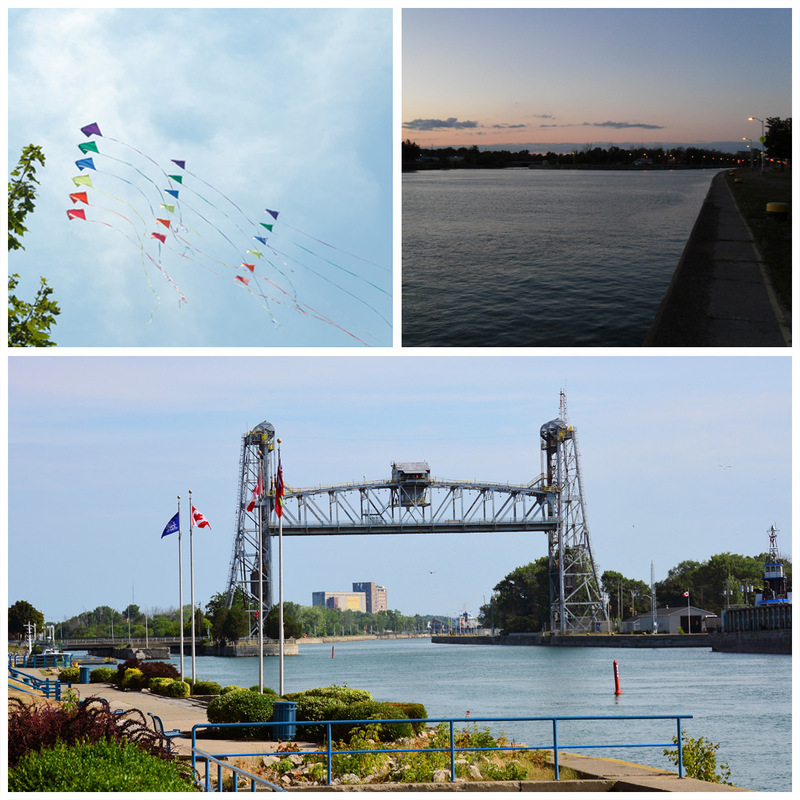 While you’re in town, find your way to Lock 8 Gateway Park to view the ships pass in the water, lay out on Nickel Beach and feel the sun on your skin, or get to know the region at the Historical and Marine Museum. Just make sure to leave some of your afternoon free for a round of golf at Port Colborne Country Club and Whisky Run Golf Club. It’s nothing but birdies and eagles when you’re on holiday! In most cities, carving trees is a crime; in London, the tree carvers are mini celebrities. Throughout “Forest City,” artists have carved tree trunks in beautiful, fanciful, and inspired patterns, as pops of creativity beam out from the wood. In fact, you can even take a Tree Trunk Tour to see them all. Speaking of wood, tobogganing has a long history in these parts, as it was once the toboggan mecca of the region. Today, you can still enjoy a good slide down the hillside. If you want something else that goes down nice and smooth, don’t miss Toboggan Brewing, with homegrown beers and local eats. Just try not to combine sleds and drinks, eh? You can worry about traffic and chores some other time. 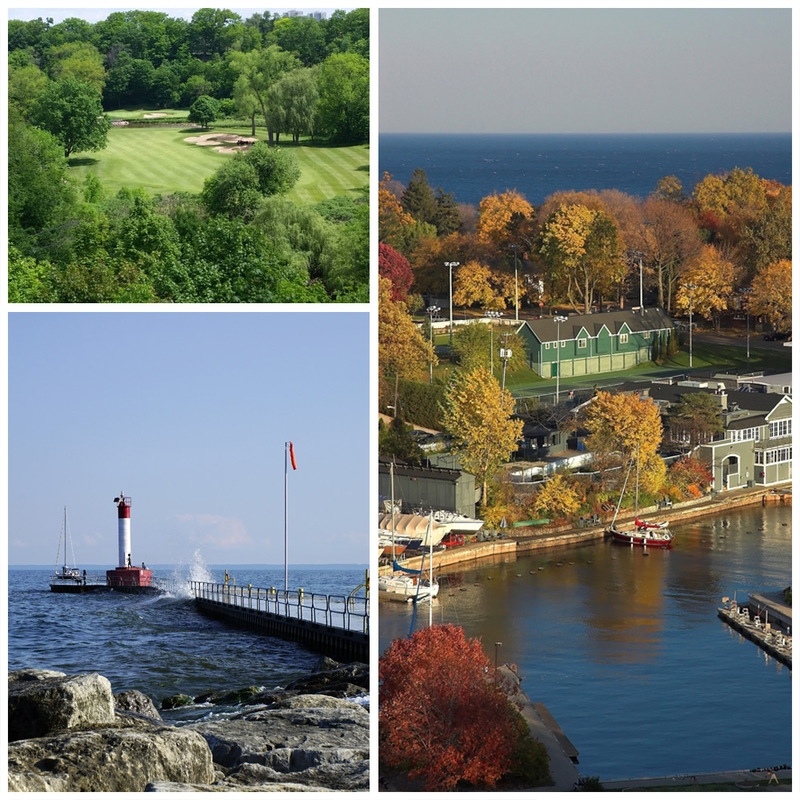 When you’re in Oakville, one of the most scenic places near Niagara Falls, it’s all about the good life. As the sun sets over the harbour, with the boats bobbing on the waves and the old-fashioned street lights beginning to glow bright, you feel transported back to a time when things were simpler. Good food, pretty sights, and some of the friendliest people around—this is what Oakville is made of. 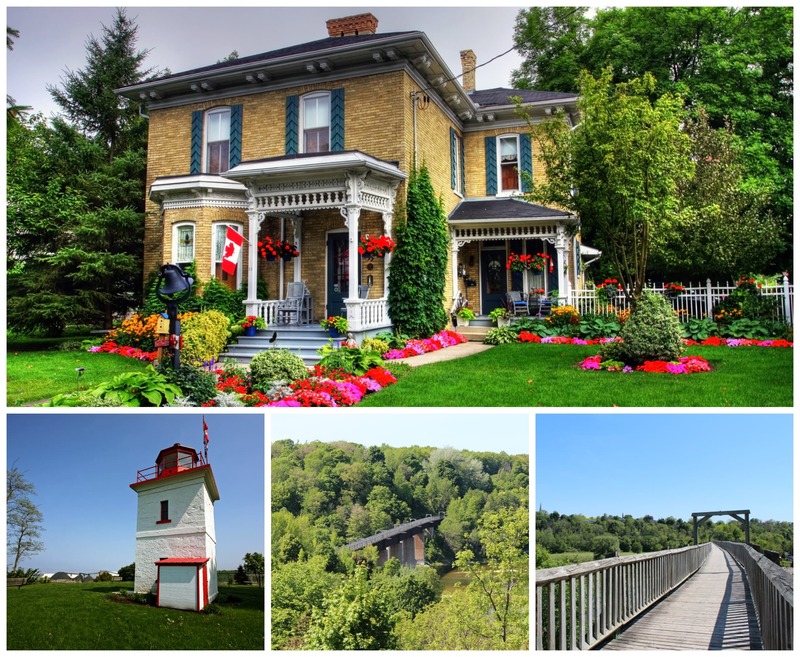 Make a stop at the Oakville Lighthouse for idyllic vacation pictures, before teeing up at the famous Glen Abbey Golf Club. After your swings, you might even want to pop into the Canadian Golf Hall of Fame and Museum and imagine your name next to the greats. When you need to refuel after your day, Oakville has plenty of awesome places to eat, like 7 Enoteca, Colossus Greek Taverna, and Corks Restaurant, where you can nosh on award-winning food on breezy patios. Are you a theatre buff wondering what to do around Niagara Falls? It’s OK, embrace that inner theatre snob! Orangeville puts on so many great shows at Theatre Orangeville, you just might see a game-changer during your trip. From comedies to dramas, there’s a brave new world happening on stage, and you can be front row to see it. If you want to see something else in this red-brick-lined town, just keep those peepers open for the Art Walk of Tree Sculptures. There are nearly five dozen tree sculptures around the city, in the shapes of bears, townspeople, and everything in between. Who knows? You might just feel inspired to dabble in your own works of art when you get home. There are some nicknames you try to shed as you get older, but when you’re called one of “Canada’s prettiest towns,” you know you’re only getting better with age. Such is the case with Goderich. 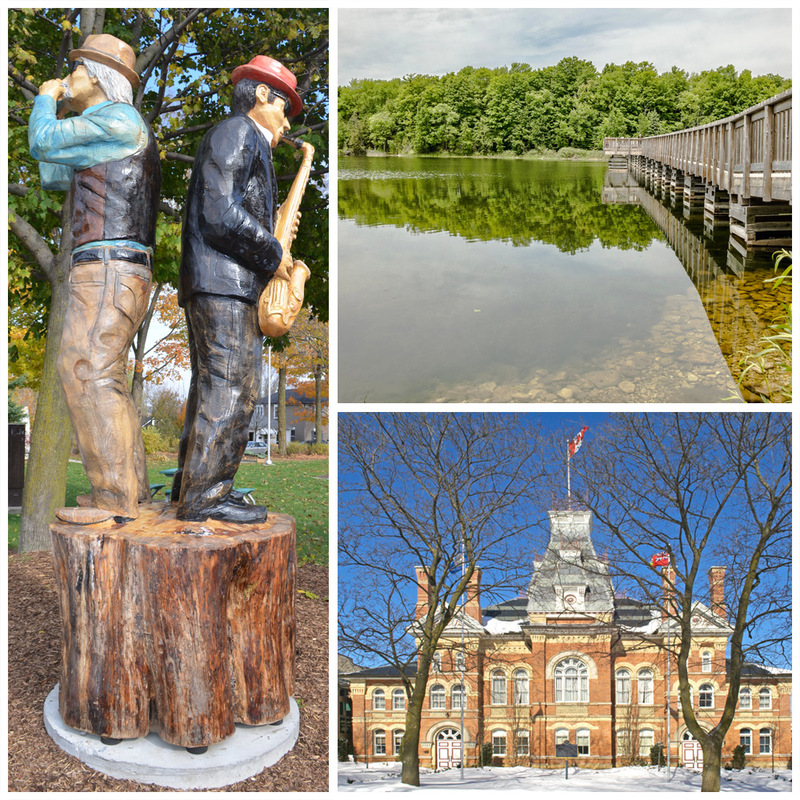 Overlooking Lake Huron, Goderich is known for its sunsets, recreation options, and picturesque boardwalks. Take it all in when you splash in the shores of Rotary Cove Beach, take new profile pics in front of the Goderich Lighthouse, or stroll along Menesetung Bridge. This is one of the most beautiful places to see around Niagara Falls, so as far as nicknames go, we couldn’t agree more. OK, we’re saying it. 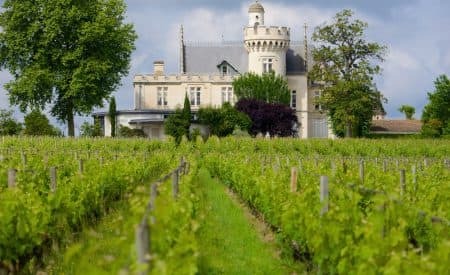 Life is better with wine! And it just so happens that Southern Ontario is a playground of delicious vino. 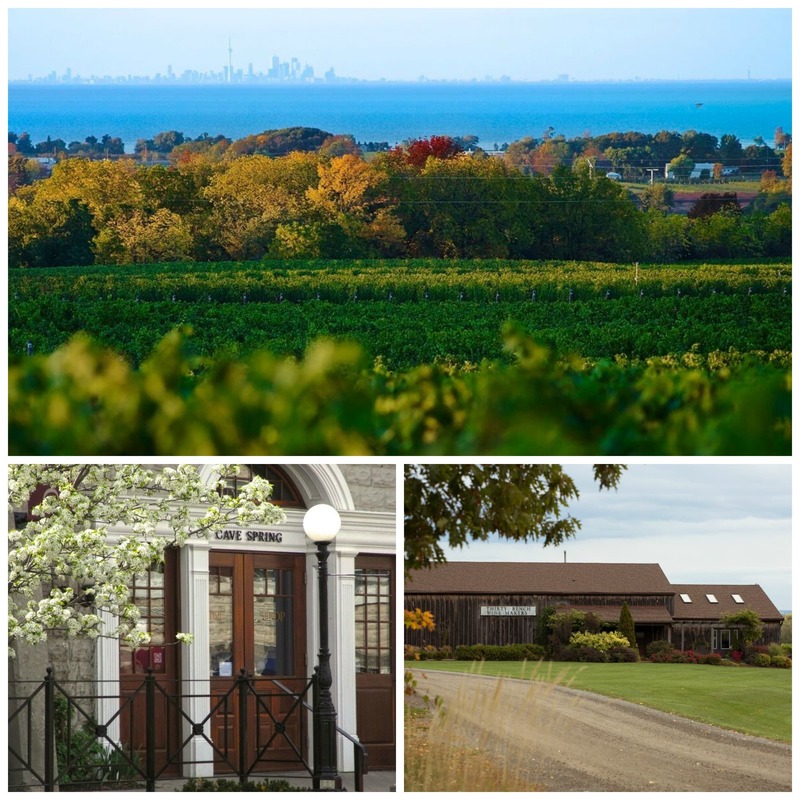 Lincoln, which comprises communities like Beamsville and Jordan to make the Twenty Valley, is home to award-winning wineries. We’re talking Thirty Bench, Hidden Bench, Angels Gate Winery, and Fielding Estate Winery, to name a few. If you want to munch on something besides sweet, sweet grapes, you can always taste the annual harvest at the Lincoln County Fair or nibble on Lincoln-grown strawberries and peaches at the Beamsville Strawberry Festival. Wine and strawberries? What a life. 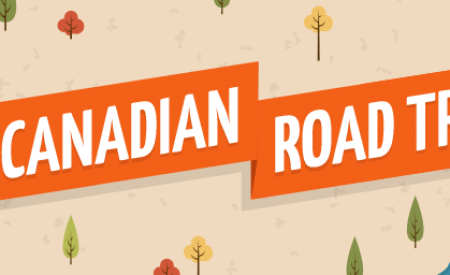 Get to know more of Southern Ontario. From wineries to boat parades, these are just some of the cool places near Niagara Falls. It’s all waiting for you around the bend! Exactly! Niagara on the Lake is gorgeous! Too bad they missed listing it. And SO close to Naiagara Falls, too!